Maintaining peak performance at work is often stressful and demanding. Responsibilities and deadlines can easily bleed over into a team member's personal life and the result can be anything from health problems to burnout. It's in a leader's best interest to ensure the team is healthy, energetic and engaged in order to surpass company goals and maintain top productivity. This starts with establishing a strong work ethic without infringing on too much personal time. Savvy leaders employ the following six secrets to help both their teams and themselves reach a delicate but successful work-life balance. Seeing their manager working 80 hours a week establishes the impression among employees that they should, too. Leaders, as much as any individual team member, need time off to recharge and enjoy personal time. While it is often tempting for busy managers to work around the clock, through holidays and vacation times, they must remember that their actions set the tone for their employees. Positively affirming team members who constantly stay late, take work home and work through the weekends is not a smart move for leaders trying to encourage a good work-life balance. If management is seen as viewing these actions in a positive light, eventually that will become the norm. The result will be that the work-life balance will suffer for everyone involved. While special projects requiring extra work are bound to come up periodically, weekend work and after-hours assignments should not be the norm and should not be rewarded. It pays for employees to enjoy ample time away from their jobs in order to relax, pursue outside interests and connect with family and friends. A manager who proudly boasts, "Bob hasn't taken a vacation day since 2013" probably does not realize that Bob’s performance has slowly deteriorated. This unfortunate philosophy is rampant. Business writer and travel enthusiast Lea Lane, has cited research stating that 429 million vacation days expire every year in the United States. 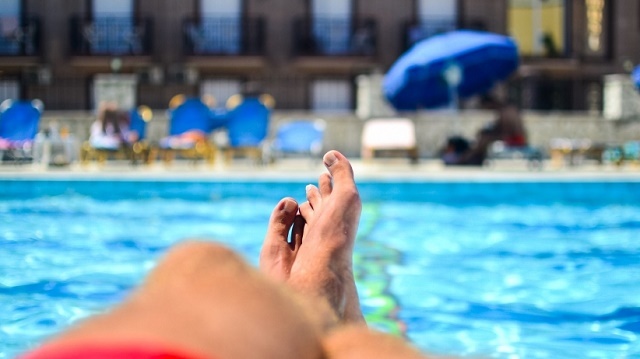 Companies offer paid time off so employees can de-stress and take advantage of personal time. And good leaders encourage and enforce this. At Amerisleep, for example, we offer all salaried employees unlimited PTO since we trust they will take the time they need to fully rest and recharge before returning to the office. In addition, managers should respect employees on vacation and avoid contacting them except during emergencies. Being completely disconnected allows team members to totally unwind and return to work engaged and invigorated. Successful business leaders will understand there is a gray area within the work-life balance paradigm. According to a poll by Time, 42 percent of full-time U.S. employees positively view the use of technology to connect to work after hours. Millennials, especially, do not mind answering an email at night or shooting out a work text over the weekend. The key is to review performance as a whole, and seek to understand what energizes your employees and what burns them out. If workers are happy answering email when they should otherwise unplug, reward them with benefits they may be more excited about. While technology has increased each employee's connection to work, it also holds valuable solutions for managing work-life balance. Company directors can help their teams be more productive, while still respecting employees' personal time through usage and implementation of software solutions that help workers complete projects efficiently. Getting the most out of employees during work hours minimizes the need to ask them to grind after-hours or on the weekends. In short, technology is invaluable in helping staff balance personal life with work life. Many employees thrive when workplace flexibility is available to them. The 2015 Workplace Flexibility Study found that 87 percent of human resources leaders surveyed said they believed that workplace flexibility programs lead to employee satisfaction. Team members are less likely to feel burdened and burned out by working an occasional night or a few hours over the weekend if they know they can take off early on Friday for a doctor's appointment or a child's recital. Telecommuting is another key area for flexibility that leaders can utilize to help their employees with work-life balance. Clever leaders recognize they will reap much greater productivity out of happy, engaged employees. Achieving healthy work-life balance is a crucial part of creating a work atmosphere that is positive and productive. By embracing these six strategies for achieving work-life balance, managers can forge a stronger relationship with their team, build and retain more A-players and reach and surpass both short- and long-range goals.